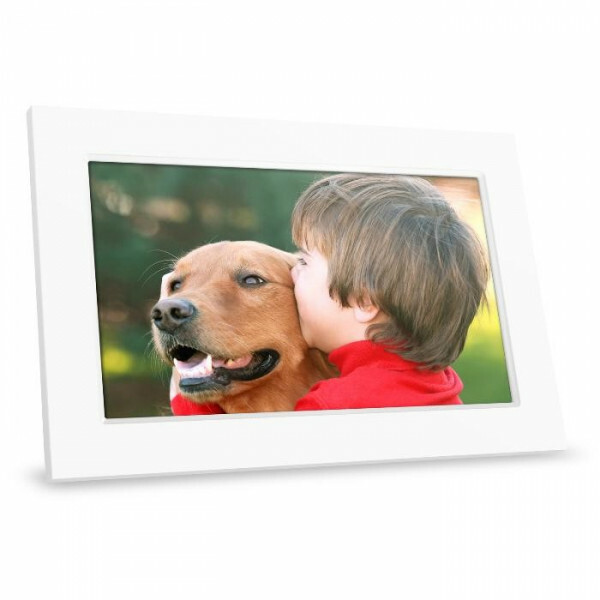 ViewSonic’s 7" VFA720w digital photo frame displays your photos in style. 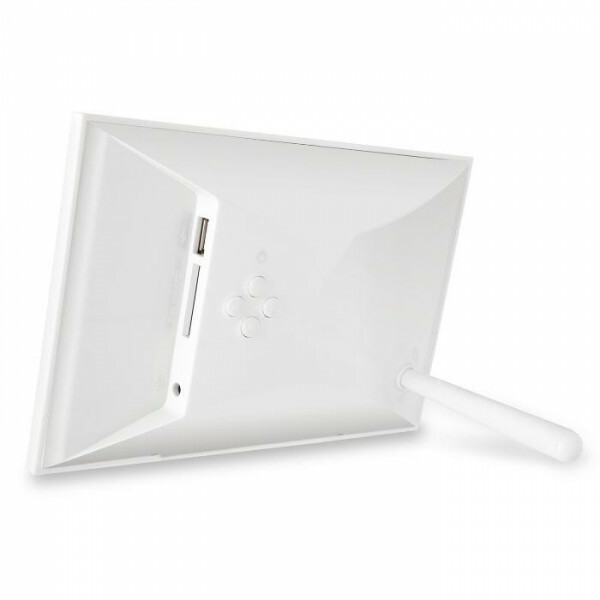 Available in either black color (VFA720w-50) or white color (VFA720w-70), the contemporary frame blends seamlessly with any home or office décor. 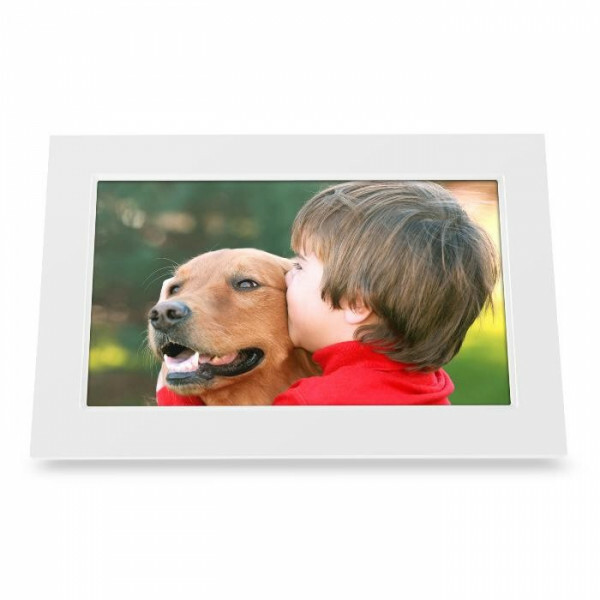 Display your photos in a slideshow format or choose a single photo to highlight your day. Simply insert any supported memory card to begin displaying your favorite photos instantly. The ViewSonic VFA720w digital photo frame makes it easier to showcase your most cherished memories. Digital photo frame with stylish frame in black or white complements your home or office décor with all your favorite photos. 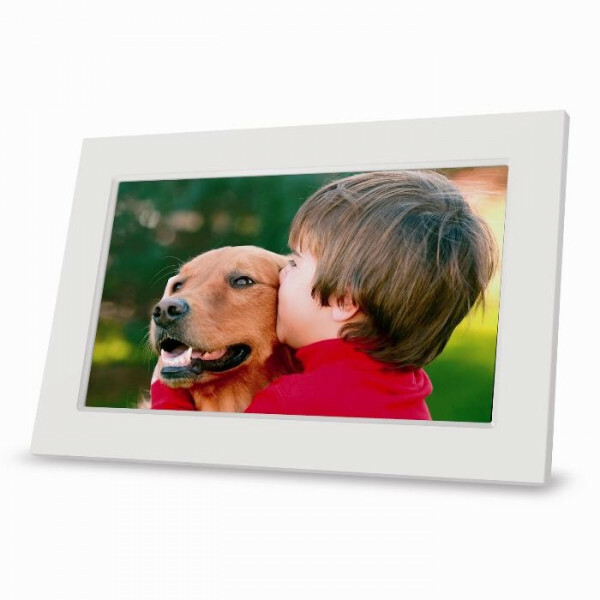 Support for SD/SDHC/MS/MMC memory cards makes it easy to instantly transfer your photos to the frame. Simple to use - just plug & play to start enjoying your photo slideshows. Entertain your friends with slideshows featuring transition effects and shuffle mode. Makes a great gift at a great price. Enjoy and share beautiful memories out of the box. Just insert a memory card and your slideshows are up and running. The VFA720w supports all popular memory card formats (SD/SDHC/MS/MMSC) and is easy to use with an intuitive menu system. The VFA720w supports JPEG picture file image formats. Select the full screen feature to display your pictures. The stylish glossy black or white frame blends perfectly with any décor at home or at the office. The sleek finish provides a unique look to complement your most precious photos. Built in features allow you to shuffle photos in random order and add transition effects with variable slideshow speeds. Enjoy your long lasting memories with variety and fun! Give the gift of wonderful memories at a very affordable price. This is the great present for your family, friends, and for any occasion such as graduations, weddings or birthdays. It’s ready to go out of the box - no PC required. Just plug and play.